The report identifies the emergence of improved and increased retail offerings in airports, hotels, universities and hospitals, as owners look to extract value from their assets and provide additional services to their visitors.“As we all become increasingly busier and time-poor in today’s fast-paced world, the rise of retail services in those places we need to spend time is inevitable,” said Colliers International’s Head of Retail, Michael Bate. “Sure, airports have had retail offerings for some time, but the new breed of airport, being led by the new International Terminal at Melbourne Airport, will see a superior retail offering, which includes both domestic and international brands to cater to our every need from fashion to food, lifestyle to leisure. Another emerging trend in Australian retail is the “bulge effect” in the CBD core to accommodate international retailers. 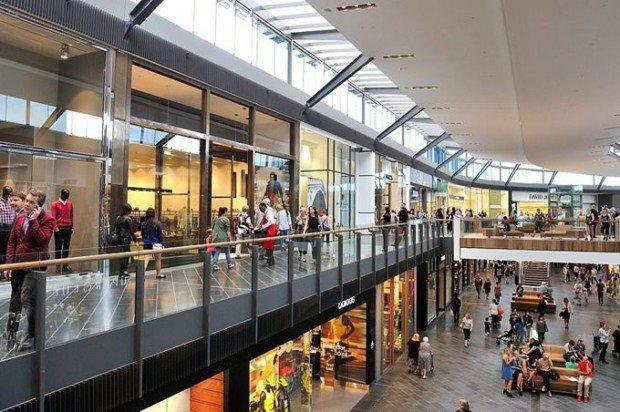 According to Mr Bate, the ‘bulge effect” is taking place across Sydney, Melbourne and Brisbane; cities attracting international retailers who require larger spaces in the core retail precincts. “We’re seeing this ‘bulge’ in areas like Pitt Street Mall in Sydney, where international retailers like HFM and Uniqlo are coming in and demanding spaces of around 3,000 square metres,” said Mr Bate. This growth in demand for retail space in CBDs and commercial precincts is also driving transformation by owners. Forward-thinking owners are incorporating lobby cafes, extending their building envelopes to take advantage of location, infrastructure and laneway retail in order to extract value from their assets. “Mixed use development is nothing new,” commented Mr Bate. “However, owners are becoming increasingly savvy and looking for every opportunity to unlock the full value of their assets. David Jones was a leader in this regard when it lodged a preliminary development submission to unlock the air space above its Market Street store in Sydney. Food-related spending continues to drive retail spending growth, with turnover at cafes, restaurants and takeaway outlets growing at an annual rate of 11.6%. According to Colliers research, the flow through from higher dwelling prices and increased residential construction continues to impact the retail sector.“National gains in consumer spending appear to be driven by higher house prices rather than higher household incomes,” said the report’s author, Nora Farren, Director of Research at Colliers International.The lower Australian dollar is also having a positive impact on Australian retailers, enticing buyers away from international online retail due to the negative impact of the exchange rate. “Retail spending is forecast to maintain the momentum seen over the past year and grow at between four and five per cent during 2014/15,” said Ms Farren.